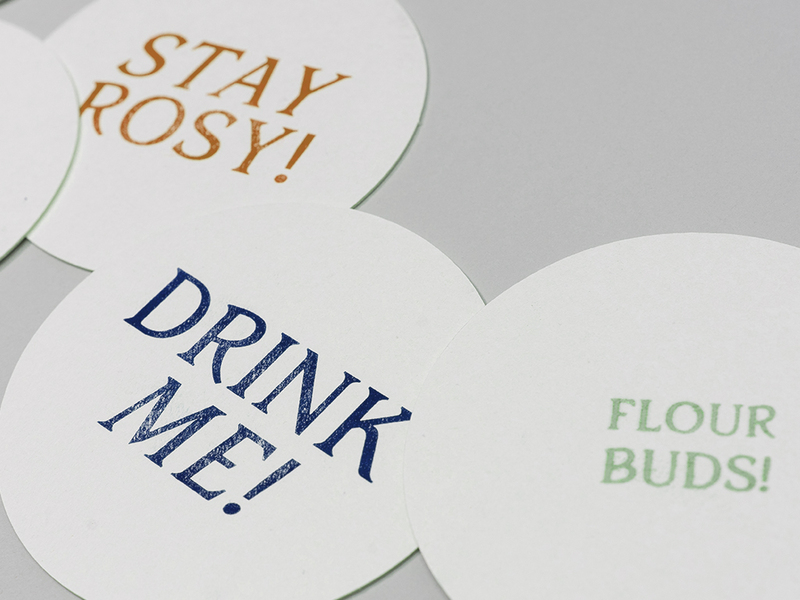 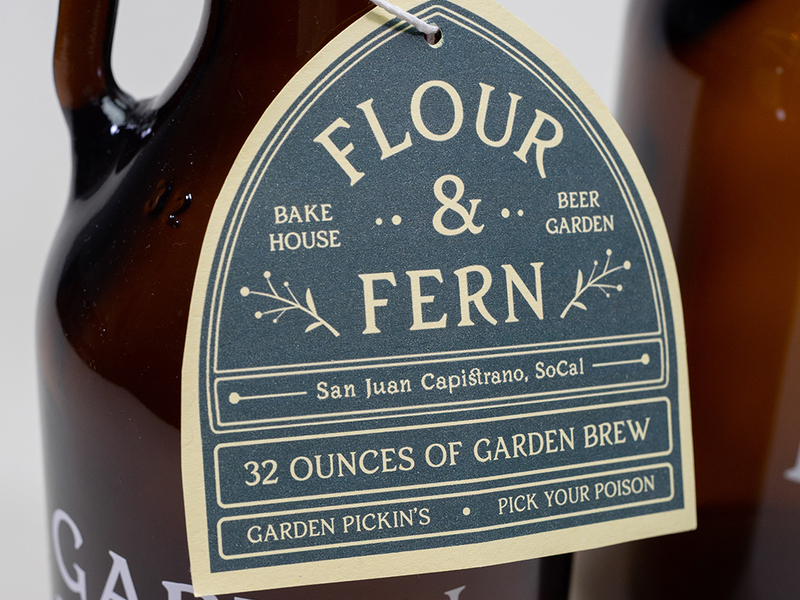 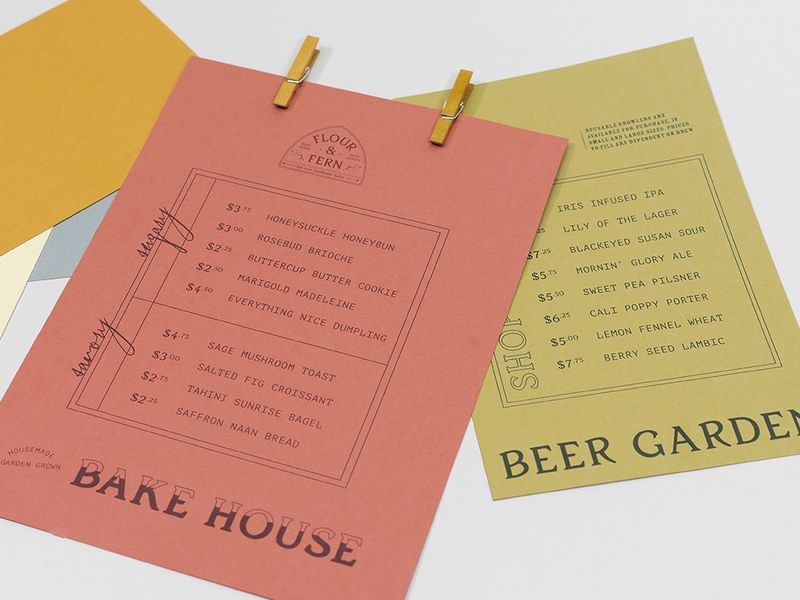 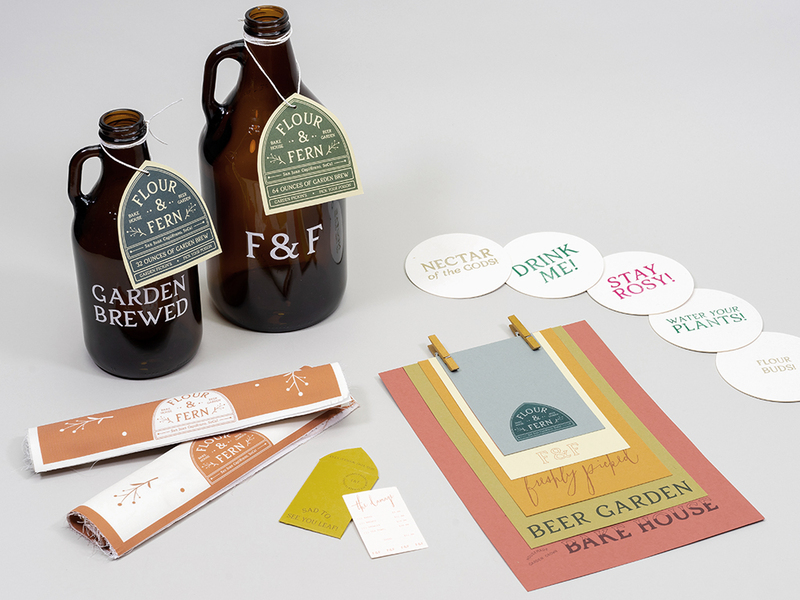 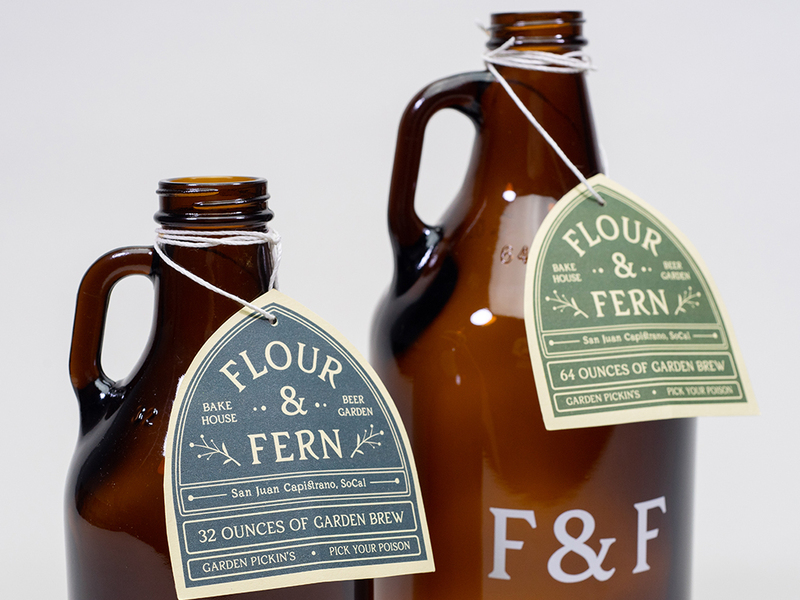 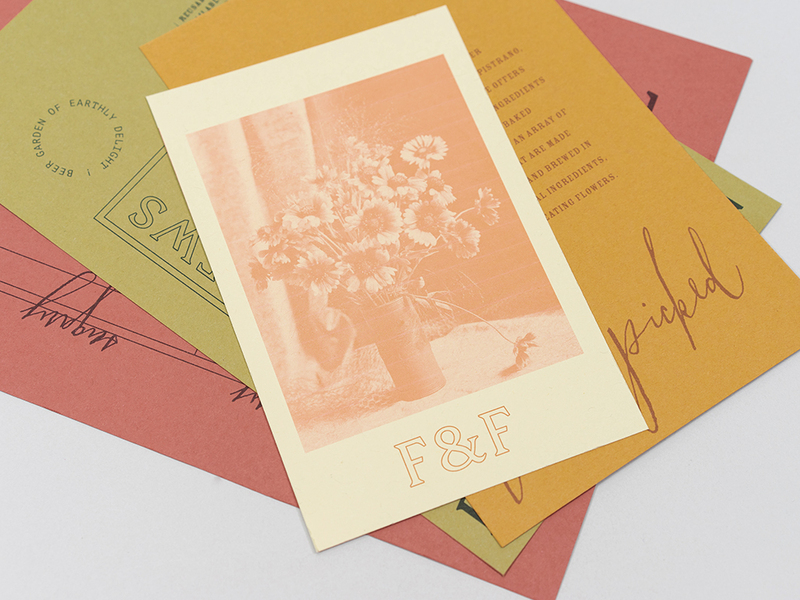 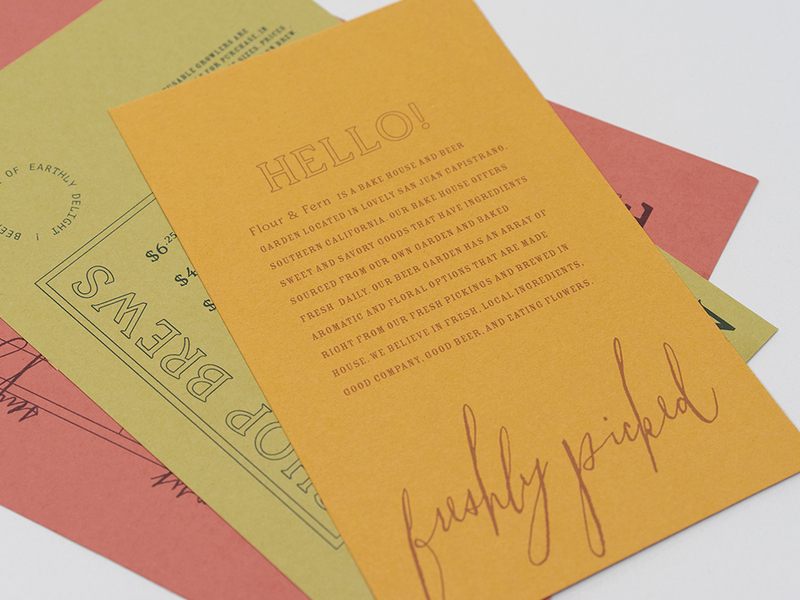 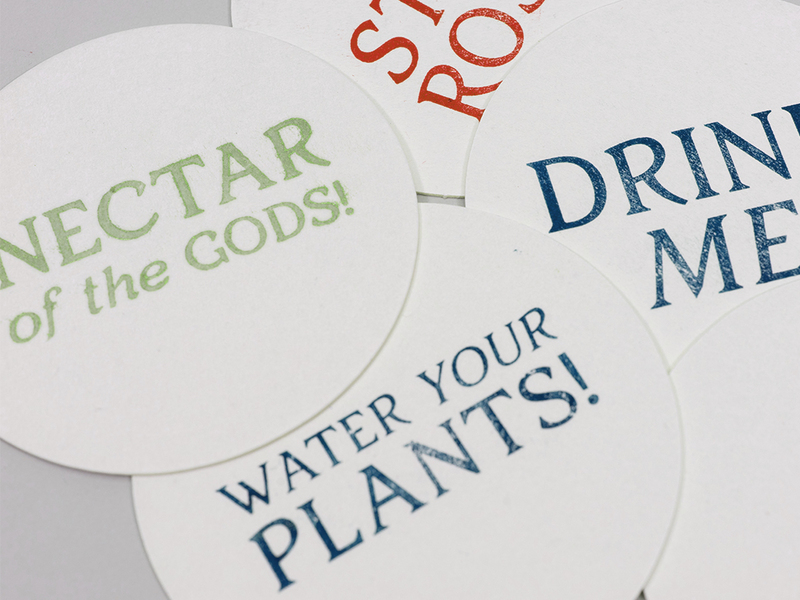 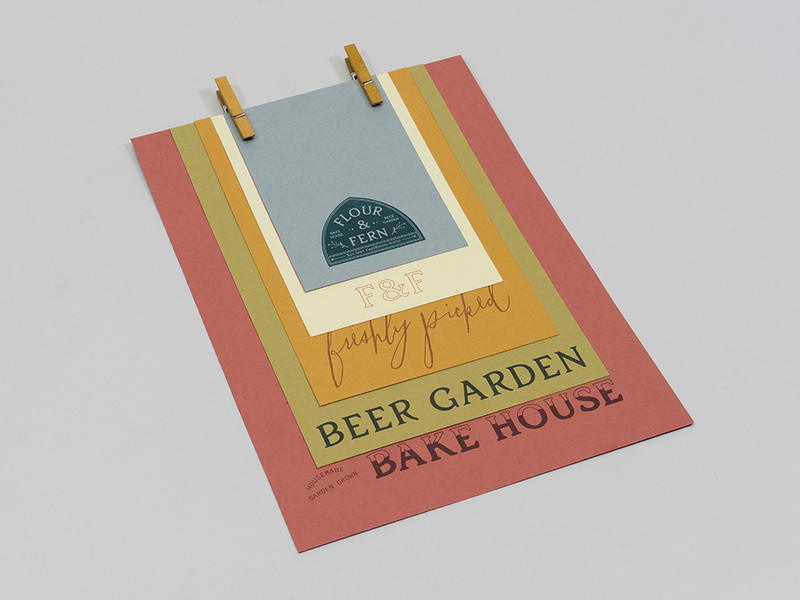 Flour & Fern is a branding of a fictional bake house and beer garden located in Southern California that uses floral and garden grown ingredients. 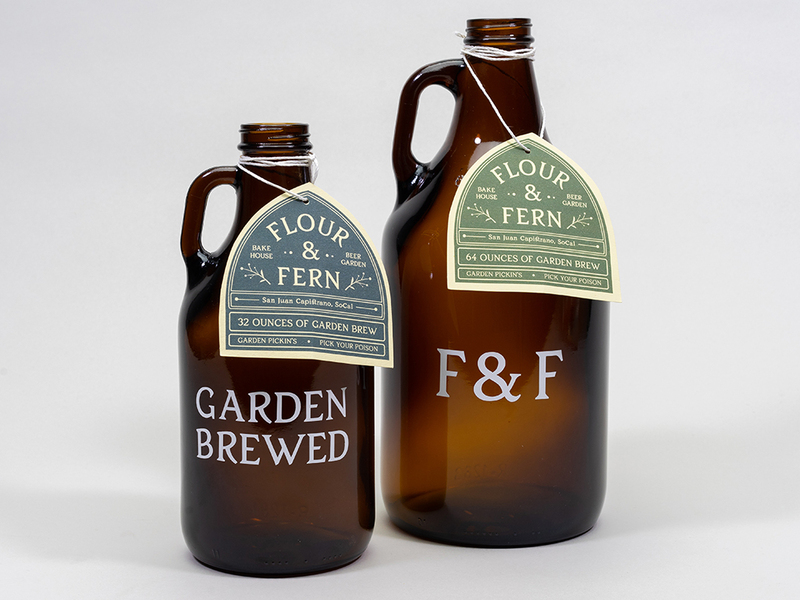 The logo picks up on the windows of the architecture in SoCal. 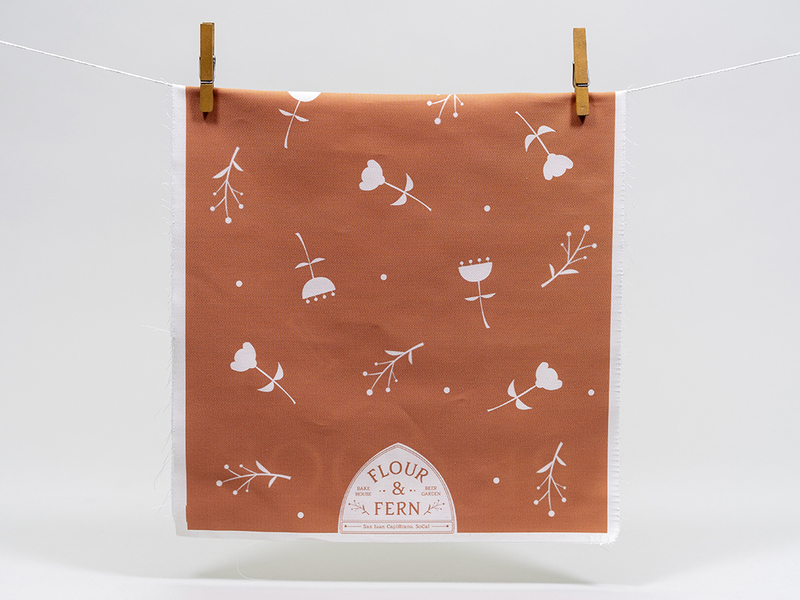 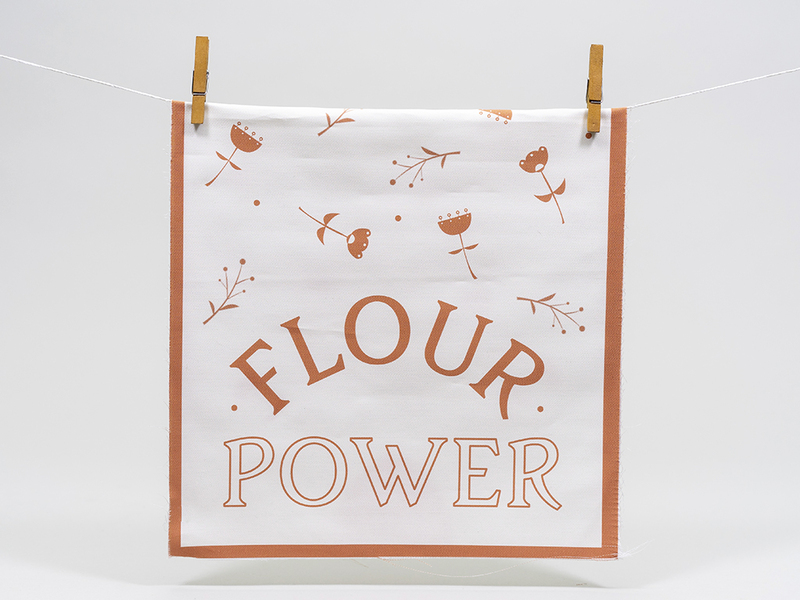 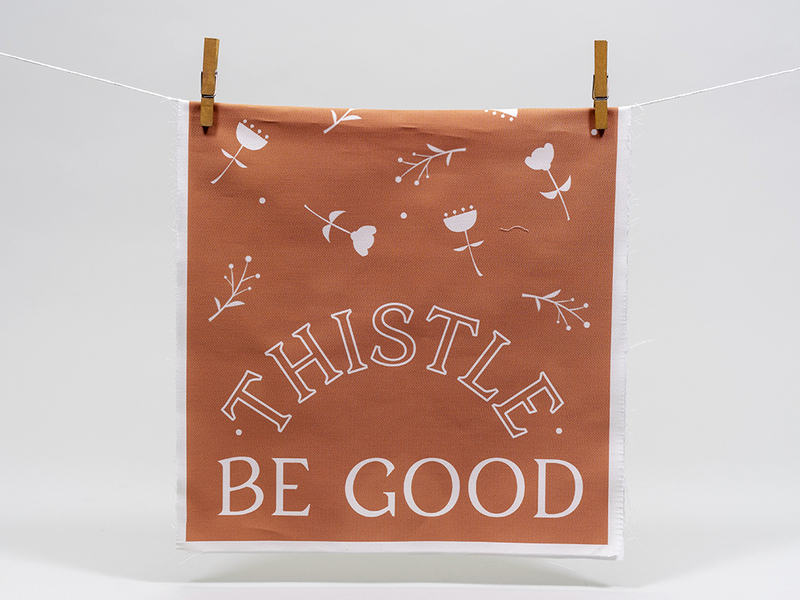 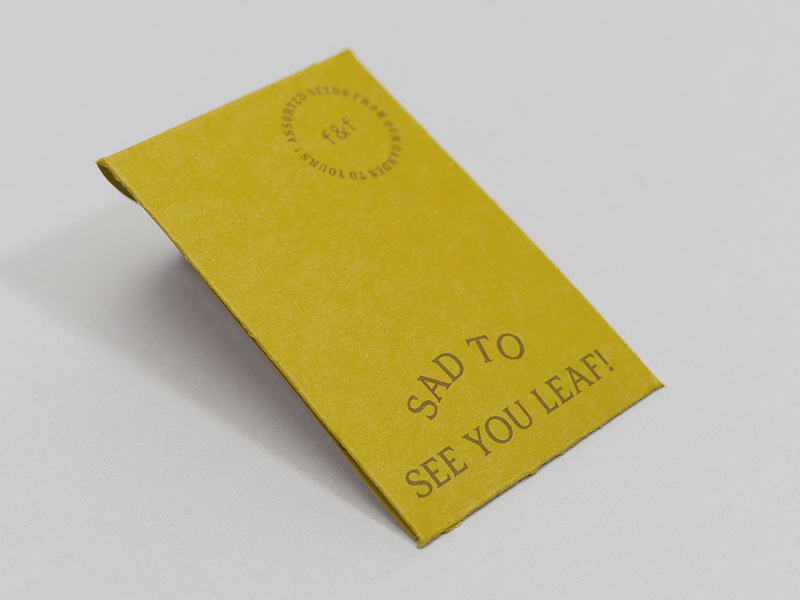 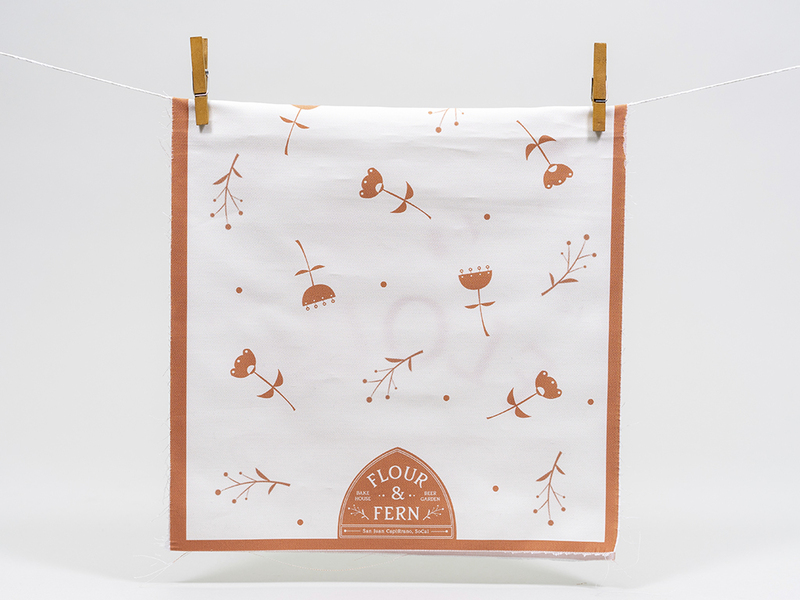 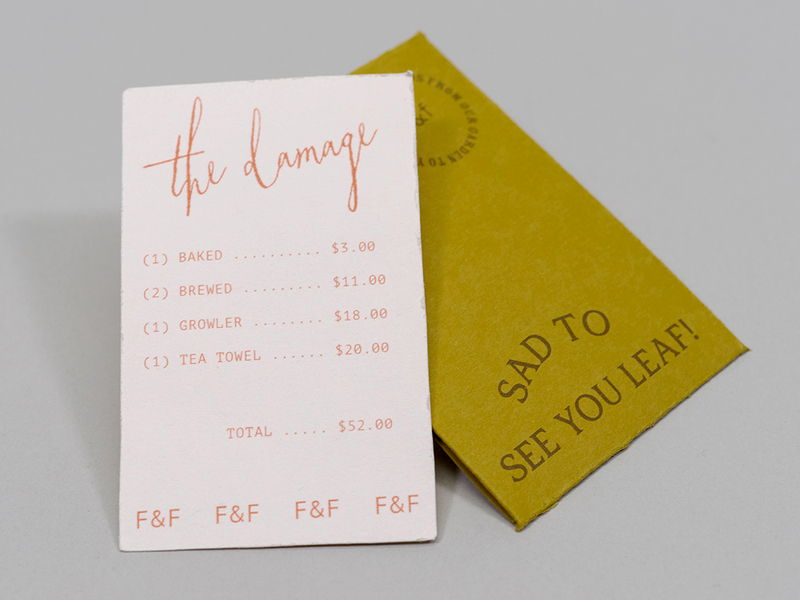 The clothespin menu, tea towels, and layering are inspired by both flour packaging and flowers, the main inspirations behind the punny name.